OKLAHOMA CITY (AP) – Officials say a University of Central Oklahoma football player lost his foot when he was run over by a train over the weekend. Oklahoma City police say 20-year-old Derek Loccident tried to crawl under a stopped train early Sunday when the train started moving. Police say the train severed Loccident’s foot, but he was able to flag down a nearby person who took him to a hospital. Police say he is expected to survive. Loccident is a defensive back for the Division II school, which competes in the Mid-America Intercollegiate Athletics Association. He recorded 15 tackles in the team’s first two games this season. 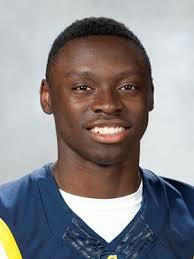 UCO’s athletic department said in a statement that Loccident and his family have the school’s full support.